Not everyone understands what “home” is. A fox, wolf, bear, and boar berate Hedgehog after finding what his den is made of and try to understand why his home is different to theirs. They believe homes should serve as a status symbol or function for a greater purpose. Others see it as a state of mind. A comic book movie nerd’s analogy includesThor: Ragnarok, where the people of Asgard have no home to speak of since its destroyed. However, Odin sees it differently. It’s a state of mind than with where people choose to physically reside. Hedgehog’s feelings echo this one-eyed god, and it’s a universal message to take note of. The essence of this meaning is further refined by Eva Cvijanović, the director. She sees it as also an anti-bullying message. People can not force one’s ideas upon another, no matter what the situation. Additionally, the release is timed to perfectly let people during the holiday season home is never too far away, even for families with kin relocated to other countries for one reason or another (special forces, or whatever the case may be). 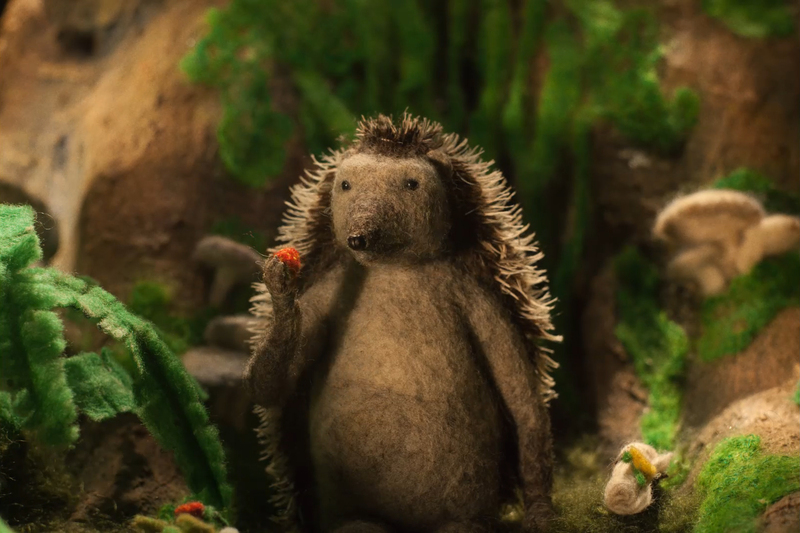 To see the closing moments of the poem vividly imagined helps Fox realize what home is about. For those who still do not get it, this word represents a devotion to and cultivation of safety, dignity and comfort, a protective shelter that also reflects and defines who we are. Solace can be anywhere, and to take heed of Hedgehog’s wisdom is important. ← TIck Tock, The House With A Clock In Its Walls Chimes in Tues, Dec 18th!